Welcome to Ninja Division’s new website! As part of Ninja Division’s ongoing efforts to reorganize and improve our operations, we are excited to debut our updated website. As part of the relaunch, we want to introduce you to a couple of new features and answer a few questions. If you had an existing account on ninjadivision.com that account has been moved to the new website. Your account is keyed to the same e-mail address you used on the previous site. Because your passwords are private, they could not be transferred over. Therefore, for your first-time login you will need to use the “Forgot your password?” link to create a new password. 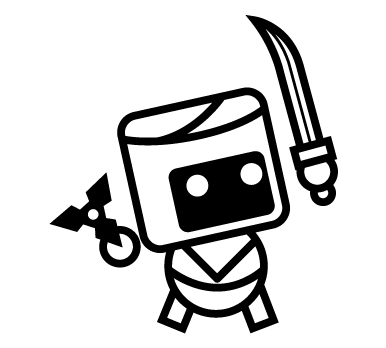 If you have any problems please contact us at info@ninjadivision.com with ‘webstore account help needed’ on the e-mail subject, and we will get back to you to solve it. Existing website orders are not linked to accounts. However, we still have them, and will be fulfilling all outstanding orders as quickly as possible. We are also currently working on linking your accounts and Kickstarter orders from sodapopminiatures.com to the website. This will take a bit of time, so we will update you when we have progress on it. As part of Ninja Division’s commitment to refocusing on core brand lines, we are streamlining our catalog. To this end, we have many incredible products that we are clearing out. Now is the perfect time to get them to expand and complete your game night collections! We are very excited about our new store interface. The navigation should allow you to easily find your favorite brands and the specific products you’re looking for with less searching around. We encourage you to take a look around to familiarize yourself with the new store and let us know any usability features you’d like to see in the future! We have exciting things in store for the website as we work towards our goal of fulfilling our Kickstarters and begin producing more exciting products you have been clamoring for. We have restocks on many Masterclass miniatures, with more exciting Masterclass news soon, and are putting the final touches on some new non-US shipment options so that it’s more affordable for our fans around the world to get products. Thank you for visiting the new NinjaDivision.com and be sure to sign up for our newsletter and social media so you don’t miss out on the latest news!